WASHINGTON — From a one-room office in an unfinished glass tower three blocks from the White House, an amorphous network of activists is doing what the Obama administration will not: attempting to arm the rebels trying to overthrow Syria’s government. Follow@nytimesworldfor international breaking news and headlines. Readers shared their thoughts on this article. The Syrian Support Group, incorporated here in April as a nonprofit, has few resources and, so far, few donations, and whether it succeeds in its larger goal remains to be seen. But it is already serving as a conduit between the United States and the armed forces seeking to topple Syria’s president, Bashar al-Assad, and having an effect on American policy. The group has surprisingly extensive contacts among rebel commanders of the Free Syrian Army, a rare license from the Department of Treasury allowing it to sidestep sanctions and a conviction that the assistance the administration has so far offered Syrians — mainly communications equipment — is simply not enough to defeat Mr. Assad. Its members regularly consult with State Department officials, including the American ambassador to Syria, Robert S. Ford, who has been based in Washington since the embassy in Damascus closed in February. Their unusual relationship with the American government reflects the Obama administration’s constrained, at times convoluted policy toward Syria’s raging conflict. Although the administration advocates Mr. Assad’s removal from power as fervently as the group’s members do, it has so far resisted calls to intervene militarily or to provide the weapons that Mr. Assad’s opponents say are needed to accomplish the task. And yet, it is tacitly encouraging others to do so, including nations like Turkey, Saudi Arabia and Qatar and, now with the license, a network of Syrian émigrés in the United States and Canada who, like many of those opposed to Mr. Assad’s rule, began their campaign in the virtual universe of Facebook and Skype. Mr. Sakka, a telecommunications engineer in Toronto, said the group hopes to raise $7 million to help the Free Syrian Army level the playing field against Mr. Assad’s overwhelmingly superior forces with the purchase of more sophisticated weaponry, including antiaircraft and antitank missiles. “For a long time we’ve been telling them there is no political solution,” he said of American and other officials who held out hope for a negotiated end to Mr. Assad’s rule. The Syrian Support Group came together late last year, uniting a diaspora of émigrés with close family, social and cultural ties inside Syria. Like the protesters in Syria, they began by advocating peaceful political change, but as the Syrian government cracked down ever more forcefully, they, too, became more militant, making contacts with the rebel military commands that took shape in Syria’s major cities. The group became more organized last spring when it formally incorporated, started its Web site and, in May, hired a former NATO political officer, Brian Sayers, as its director of government relations in Washington after finding him through an online employment agency. That same month, it applied for a license from the Treasury Department’s Office of Foreign Assets Control to raise money for the rebels. It was granted on July 23 after the Obama administration intensified its efforts to provide humanitarian and other nonlethal assistance inside Syria. American law restricts arms sales generally, and sanctions prohibit them to Syria specifically. But while the group cannot ship weapons, it can send money that the rebels can use to buy them. The group has not yet registered as a lobbyist, but it has already become a clearinghouse for American lawmakers and administration officials trying to learn more about the loose network of rebels that has gradually coalesced into the Free Syrian Army. A senior administration official who did not want to discuss intelligence matters on the record said the group’s greatest asset has been its contacts, providing some of the best intelligence available on those squaring off against Mr. Assad’s forces. The only thing adorning the group’s tiny office in downtown Washington is a large map of Syria with Post-it tabs designating the commanders of the Free Syrian Army’s nine regional military councils, from Dara’a to Aleppo. Mr. Sayers said the group’s directors routinely contacted the commanders of those councils — and recently managed a Skype conference call with all nine at once. Mr. Sakka said the group’s directors, all professionals, were originally from the cities now under siege, allowing them to establish trust with the rebels, and vice versa. One of the group’s accomplishments has been to negotiate a “proclamation of principles,” signed by each of the rebel commanders. It calls for a free, democratic Syria that would protect the rights of Syria’s myriad ethnic and sectarian groups, create rule of law, and seek peace with its neighbors. The group has not disclosed its fund-raising efforts so far, though its license requires it to report each month to the State Department how much it raises and sends. If the Internal Revenue Service approves the group’s status as a charity, donations to help Syria’s rebels could soon be tax-deductible. 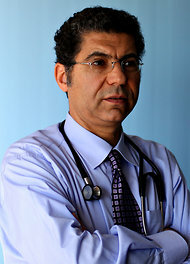 Dr. Danan, originally from Damascus, lamented that the group had yet to receive enough donations to do much more than set up the office in Washington. While maintaining good relations with the Obama administration, the group has also been a critic of the administration’s approach, with added credibility because of its ties inside Syria. Dr. Danan, for example, said President Obama’s warning that any use of chemical weapons by Syrian forces would be “a red line” that could provoke intervention amounted to a “green light” for Mr. Assad to use as much conventional force as possible.